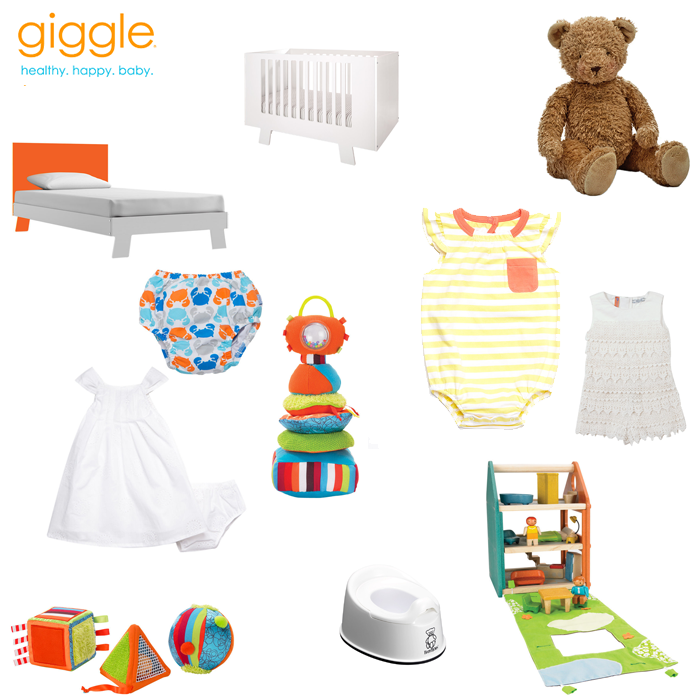 One of our favorite online kid retailers Giggle is having a huge sale with some of our favorite items we had to share! Play House – This modern play house folds up in to a convenient carry size. Love the design of this toy. Eyelet Baby Dress – Giggle recently launched their exclusive clothing collection and we love it. Great quality, style and price. Even more affordable on sale! Classic Teddy Bear – This Teddy Bear is just as we like it, Classic. Baby Stacker – Jenna has been in the market for these type of toys now that Lolly is the age where she likes to grab things! Shake Rattle & Roll Shape – Love these also! Swim Diaper – If your’e anything like us then you swim year round, these are perfect and such a money saver. Twin Bed – LOVE Giggle’s exclusive furniture. This and the Crib below are on huge discount.